This lens took over two months to review, mostly because I'm super busy with business these past months, (well, all year actually), but also because I had to review two lenses as I thought the first one wasn't quite up to Sony QC standards, unfortunately, it looks like it was. The small and light weight Sony 16-70mm F/4 turned in a mixed review, it does have some good qualities, but it also has one big weak spot. It's all in the review, so check it out here. This will be the last review, and maybe the last post of the year; if so, have a great Christmas and New years, and a big thanks to all the visitors this past year, along with all the positive messages I get on a daily basis, it makes running the site much more enjoyable! I'll be back in January with an important announcement concerning the future of this site, and the focus of the new site!! Full review of the Rokinon 16mm F/2 for Sony 'a' and 'e' mount. I have a second copy of the Sony Zeiss 16-70mm F/4 OSS, so now I'm testing it out, and hope to have a review posted in a couple of weeks. This will probably be the last review for 2013. I may try to sneak in a Sony Zeiss 35/2.8 FE review, but that will depend on when I get it. Sony A99 combo deal is back at $2798. Sony A77 with 16-50mm F/2.8 lens, $1498. I paid $1398 for the body only about a new or so ago. A great Real Estate camera, ebay the included Sony lens and get the lens below. Tokina 11-16mm F/2.8 for $499. Super sharp at the wide end, see review here. Sony NEX-6 with 16-50mm power zoom lens, $798. The Zeiss Touit lenses are 20% off, 12mm F/2.8 now $998, 32mm F/1.8 $720. 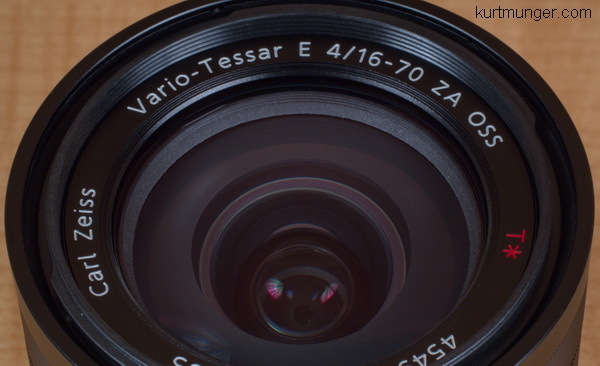 Both of these lenses turned in great reviews (12mm, 32mm), now the price is within reach for some people. 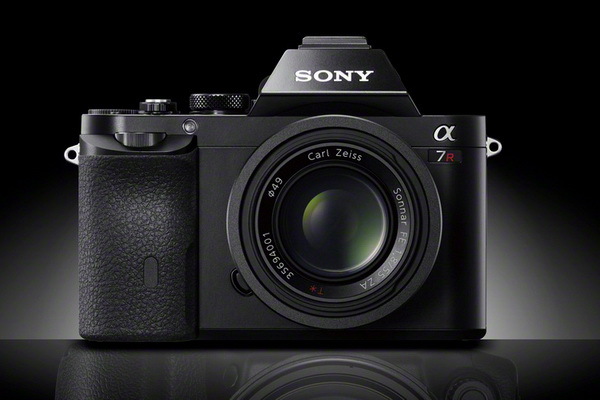 Sony makes it official; the a7 and a7r are real! This camera has been hyped for a couple of months now, so it's not a surprise unless you've been living under a rock. Both versions can be pre-ordered now. It looks like the new lenses are fairly small, except for two zooms, the specs suggest they're very heavy for the small camera body, darn it. The new 70-200mm F/2.8 II $3000(!) for 'a' mount is a minor upgrade according to the info, but I haven't checked the specs. The 35/2.8 looks like it's very small and lightweight--- that's right, I'm getting it with one of the cameras. I'll read up on all this and post some thoughts in a day or two. I took the Zeiss 16-70mm zoom out for some serious test shots, and in the process discovered the images are far less than what I had in mind for a lens costing $1000. Here's the thing; the centers are very sharp and impressive at F/5.6 at all focal lengths, but as you leave the center, the image softens, and the sides never really sharpen up at any length. At the wide end I don't expect the sides to be really sharp, that would be almost abnormal, but at longer lengths the images should be reasonable sharp with plenty of contrast at the sides. The old DT 16-80mm Zeiss is very impressive as you zoom out, although not really great at 16-20mm. Just to be clear, the lens performs good, but it doesn't seem to be impressive for 2013. So now I need another replacement lens this month, first the Rokinon 16mm, and now the Zeiss. I'm hoping the brand new Zeiss 16-70mm F/4 OSS I bought was a 'Friday' lens, meaning it was thrown together quickly (and improperly) while the employees where anxious to get out of work for the weekend and hit the local watering hole. If my lens in fact does meet Sony Zeiss quality control, I'll be passing on this one, and sticking to the primes. Oh well. New arrival; Sony Zeiss 16-70mm F/4 OSS. I have the new Zeiss 16-70mm zoom now, and official testing will begin this weekend. It's pretty small and light weight, although it looks big on the NEX-C3 below. It would compliment the 10-18mm, and may be the only two lenses you'd ever need for the NEX APS-C system: well, this one would be good for low light adventures. The Rokinon 16mm F/2 for Sony alpha review will be delayed for a while. My copy has an issue with the focusing mechanism (shifting when ring reversed) which causes image quality problems sometimes. I wasted an entire day screwing with it. I've ordered another, and hopefully that one will be right. This lens has the potential to be really good from what I've observed so far, so let's cross our fingers on the next one!! Flash photographers will love the Fuji X100s because of the flash sync. This guy hypes it big-time. It's still in stock as of this post. I wanted to buy it for doing supplementally lighted twilight shots while it's still sunny out, but I've got to get the new NEX-7 replacement, NEX full frame model and a regular FF model whenever they come out, so that's looking like something north of five grand for just the cheap versions. 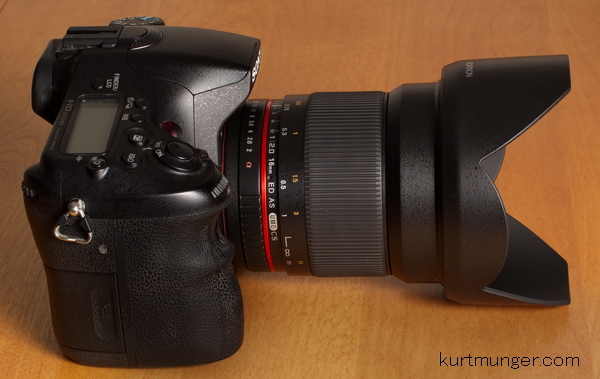 All will be used for reviews, but I may also use the APS-C NEX for Real Estate shoots with the 10-18mm lens. I should get the new Sony Zeiss 16-70mm F/4 OSS today, so maybe I can get that wrapped up and posted before I get another replacement Rokinon! New Rokinon 16mm F/2 in for review. Well I'm back and ready to update the site---it's been almost a month!! I've been busy with a massive back log of photography work and think I've finally sent out all the finals to customers. If you're a decent photographer, Tucson AZ is a great place to get work; I turn more people away than take on jobs now, and I'm an awful business person. I'm hoping maybe to get local photographers to take some of my work so I can spend a little more time on the site here. Up next for review is the Rokinon 16mm F/2 for Sony alpha, but it's also available for E-mount and other brands like Canikon, 4/3 etc. It's bigger than I thought it would be, so let's hope the optical quality is enough to offset that. I plan on taking it out today for a test spin, and maybe get an opinion on it later this week to post. Zeiss Touit 32mm F/1.8 review. The Zeiss 32mm F/1.8 review is done, with no conclusions or test crops to add this time! 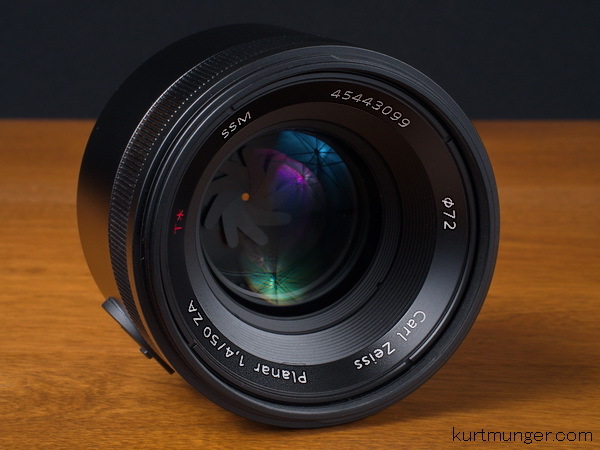 The Ziess 32/1.8 turned in a very good review, but not without a host of smaller issues. Overall, the optical quality is reminiscent of the Sony CZ 24/1.8, which is great! (Zeiss 24/1.8 now on sale for $898!!) As requested, I did use the same scene as the Sony Zeiss 50/1.4 SSM, but don't compare them directly as there is an 8mp advantage for the 50/1.4. Would it perform just as well with the same megapixels? I don't know, but I'm guessing the 50/1.4 is slightly sharper and better performing overall; but it really doesn't matter, they were designed for different camera systems. More appropriately, Matthew Durr did a comp using the Sony 35/1.8 OSS and the Zeiss Touit 32/1.8. 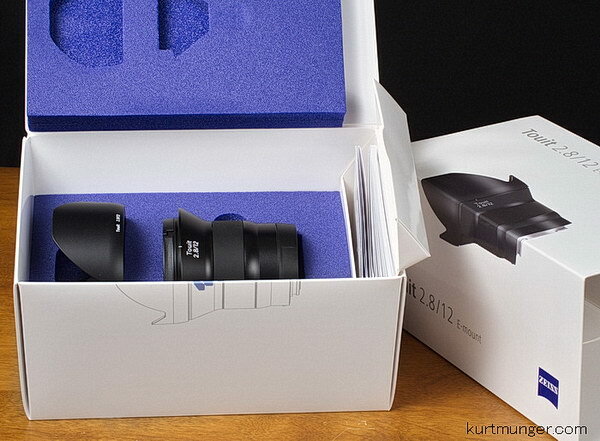 Zeiss 12mm Touit Review complete. I added a ghosting shot and some color fringing crops to the 12mm Zeiss review, so it's done now. I should have the Ziess 32/1.8 review done in a week or two. If you want Adobe Lightroom 5, it's on sale for $99 today only. If you already have Lightroom, get the less expensive upgrade for $75. 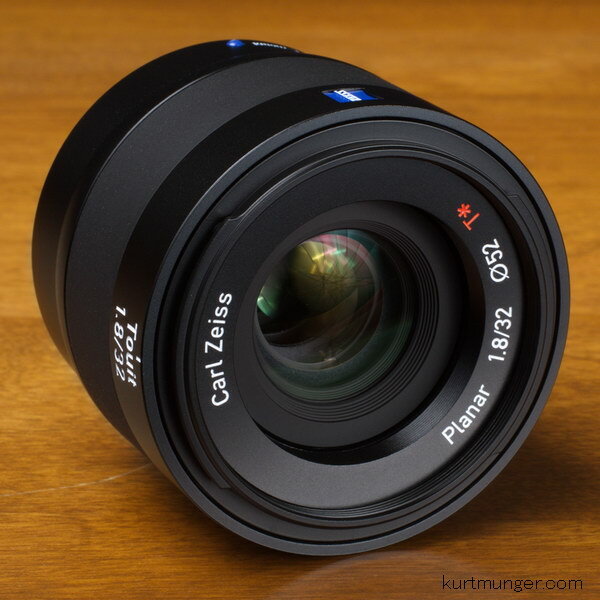 The Samyang 16mm F/2 for Sony NEX e-mount is in stock, I'll be reviewing that lens soon! 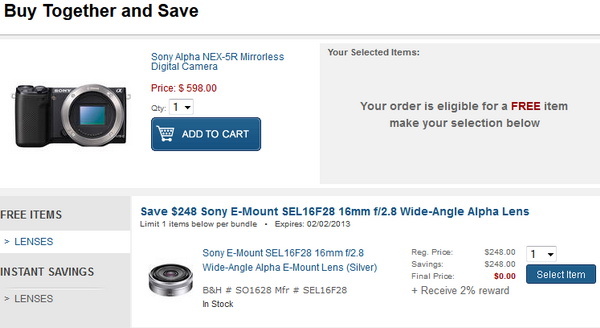 Don't forget this item I posted below; the Sony NEX-3N and PZ 16-50mm lens is $399, (Black model) (white/silver model) that price is not displayed on the B&H product page, so put it in your cart to see it, it ends on Saturday! That's a great value, you're almost getting the camera for free for the regular price of the lens and carrying bag. New Sony Cameras and lenses. Sony launches a new budget camera, and a couple of new lenses for e-mount. The new A3000 camera has a 20mp sensor, takes e-mount lenses with a price point of $399 with the 18-55mm kit lens. It has a low resolution EVF and fixed LCD, but how much can you expect for that price? The A3000 would make an economical back-up camera for Sony e-mount users, or A mount with an adapter. Also, the current silver 50/1.8 OSS (optical steady shot) lens will now be available in what Sony calls "striking black" a result of user demand. Available in Sept for $299. The NEX-5T is a slight upgrade to the current model, and will be available in early September for $699 with 16-50mm kit lens, or $549 body only. The Sony Zeiss 16-70mm F/4 OSS (equiv 135 film format coverage of 24-105mm) will be available in Sept for $999. It features OSS, an advanced aspherical element, and three regular aspherical elements. Extends out when zooming. Sony 18-105mm F/4 G OSS. 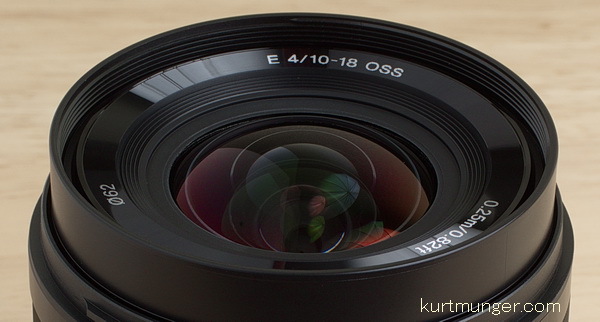 The first "G" lens for the E-mount system, (equiv 135 film format coverage of 27-157mm). A constant aperture lens that does not extend when zooming, along with a quiet focus motor and power zoom and optical steady shot. Has two 'ED' elements, and three aspherical elements. Available in December for $599---seems like a good price. It looks a lot like the old Minolta 28-135mm lens---and read my 2008 prediction in the conclusion! The Sony NEX-3N and PZ 16-50mm lens is $399, (Black model) (white/silver model) that price is not displayed on the B&H product page, so put it in your cart to see it, it ends on Saturday! That's a great value, you're almost getting the camera for free for the regular price of the lens and carrying bag. I forgot to mention the Sigma 50mm F/1.4 HSM (review) is on sale, now $399, that's $1100 less than the Zeiss 50/1.4 (review) for about the same sharpness at all apertures. Zeiss Touit 12mm F/2.8 review. Check out the Zeiss 12mm review, it's done, but I haven't yet be able to check the flare and ghosting control; I'll fill that section in soon. It's been cloudy and rainy here in sunny Tucson for the past week or so, and that puts me behind schedule. The Zeiss 12mm performs very well, however, the price point and focal length will probably keep this lens from becoming a popular choice for most Sony and Fuji customers. Now it's on to the Zeiss 32mm F/1.8; a much more common focal length, but one that Sony, (with OSS) and Fuji already have covered, so will it be worth the extra cost! 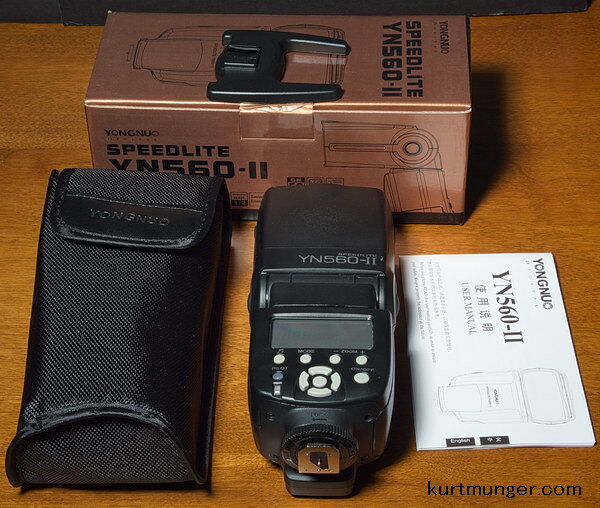 Here's a quick review of the Yongnuo YN560-II flash. Amazingly, the flash has slightly more power output than the expensive Sony flashes I've reviewed, like the recent HVL-F60M. It also has a Screw lock PC port, and a plug for an external battery pack. The flash really has some potential, but a shut down issue after a few full power pops and a couple of other problems makes me rate it as garbage; you get what you pay for ok, so I paid $10 for it brand new, but the normal street price is about $59. I use flashes all day long; they have to be very reliable, otherwise, why bother? If you're going to buy a flash, get a factory model either new, or used if you don't have much money, believe me, you'll be glad you did. Sony's best flash value is this one. The Sony CZ 50/1.4 review is finished! I spent a lot of time with the conclusion; going over full sized images from the Sigma and Sony 50/1.4 reviews, and trying to extrapolate the differences with the Zeiss. In some cases I photographed the same subjects from the reviews, but the light is never quite the same at different times of the year, so posting a comparison is probably not going to be very helpful for most people. I think I was able to extract enough information from all the different test shots to come up with a fairly accurate prediction of how the three lenses would compare to each other. People on a budget will be pleasantly surprised that the Sigma 50/1.4 HSM will resolve about the same as the Zeiss at all apertures, but in most other areas, the Zeiss is superior. Read the conclusion for more thoughts. ...but it's not quite finished. I have the conclusion to do yet, plus I want to take it out one or two more times for some follow-up testing and some possible comps---not sure yet though. The additional material will not effect the overall review, so feel free to come to your own conclusions; it should be clear as to how the lens performs by looking at the images and reading the text. Rockwell does this all the time, and it actually makes sense to post the review as long as you indicate the 'yet to be completed' text blocks. Sometimes I don't have the time to completely finish the review in a timely manner, but it's mostly done, so..... here it is! New toys to play with. Recent arrivals for review are the Sony Zeiss 50/1.4 SSM, Zeiss Touit 32mm F/1.8, and Zeiss Touit 12mm F/2.8. I think I'll start off with the 50/1.4 as this lens is pretty new; the Touit lenses are already old news in the review world. I hope you folks appreciate what I have to go through to review this stuff. It's usually a drive up a local mountain to about 9000ft, then hiking along a swift running stream lined with wildflowers, through an evergreen forest, and straddling jagged granite outcrops taking test shots as I move along. After a bag of Doritos (original flavor) and some water, It's back to the trail head and finally home to sort out the pics. It's tough work, but someone's gotta do it! 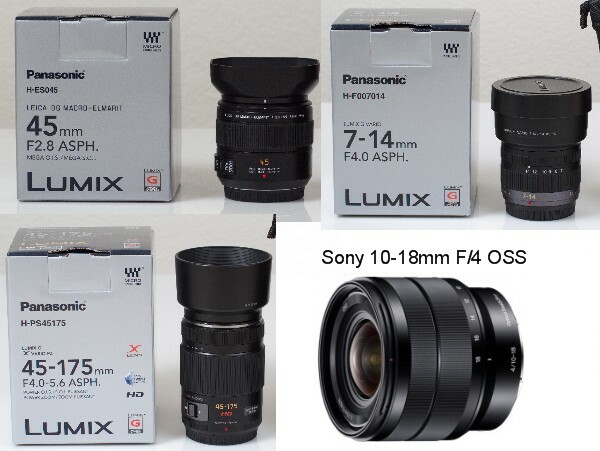 Hopefully, I can have all these lenses reviewed by the end of August---weather permitting. I bought one of these Sirui T-025X carbon fibre tripods for hiking because it comes in a less than 2lbs, (.85kg) with head! Plus, it's almost full height, extending to 54.5" (139cm). It's made in China, but the quality is very good. Nice features include leg warmers, separate pan and tilt head with quick release plate, and (oddly unmentioned in product overview) position index window, (great for panoramas), removable center column for lower level work, independent three position leg movement, and folds to less than a foot long, (30cm). It comes with a nice carrying bag with shoulder straps. 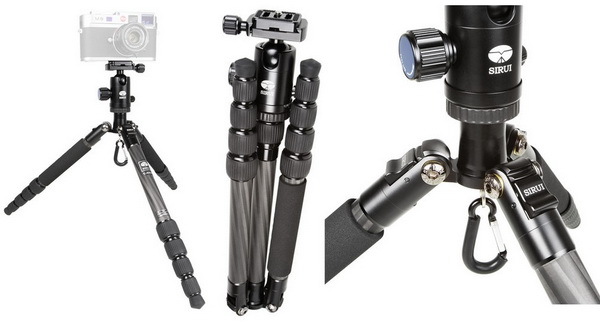 I'm going to post a review of this tripod in the near future. So far, it's performed great with a Sony NEX and MFT camera with small lenses with the legs fully extended. I did some Infra-red work and had no problems with movement at long 5+ second exposures. However, using a full sized DSLR with zoom lens may be a bit much for this unless used lower to the ground. This tripod is fairly expensive, but well worth it if you carry a tripod around for hiking or low light street shooting; if you just need something decent for keeping in your car for those occasional camera outings, go for a less expensive one. A few readers asked if I was going to add the Sigma 35/1.4 DG lens and 60/2.8 NEX to the 'Best low-light lenses page' and the answer is yes for the 35/1.4, and no for the 60/2.8 NEX. The only issue keeping the 60mm off the page is that there is no image stabilization, and using /2.8 with pretty tight coverage is going to be tough; especially hand-held. However, if you have a Micro 4/3 camera with stabilization, then I would recommend it for low-light work. It looks like the new Zeiss Touit lenses might be good enough at large apertures to be added to the list too, but I haven't reviewed those yet. Hopefully, I can get those reviewed within the next month or so. Some people get mad at me for continuing to use the outdated Sony NEX-C3 for my reviews, but here's the deal; I'm ready to buy another one, but I'm waiting for the NEX-7 replacement, so whenever that camera gets released, I'll get it and use it for testing. Pretty much the same thing for full frame, I'm still using the A900 which is essentially top of the line at low ISOs, but I want to wait for the mirrorless design to come out, that way I'll have the newest camera technology for testing the latest Sony lenses. Testing lenses tends to be very expensive, not to mention time consuming, that's why I encourage you to use my links to B&H photo for all your goodies, not just camera gear. Without affiliate programs this site would not continue to be updated. I could always just forget the site and go after more photo work and make more money, but it's fun to review the latest gear, and chat with people from all over the world, and sometimes that results in ideas on how I can be a better photographer, without having to spend extra money, that's basically the purpose of this site! Last but not least; a big thanks to all the folks that support this site! Sigma 35mm F/1.4 DG review. This is Sigma's first Global Vision 'Art' series of lenses; and as such; claims to take artistic expression to a new level---so are you ready to be whisked away to a new level of expressiveness? Or are you happy being in the lower levels of the dreaded artistic doldrums? Either way, read all about the rather impressive Sigma 35/1.4 DG lens. Sony updates RX1 and RX100. 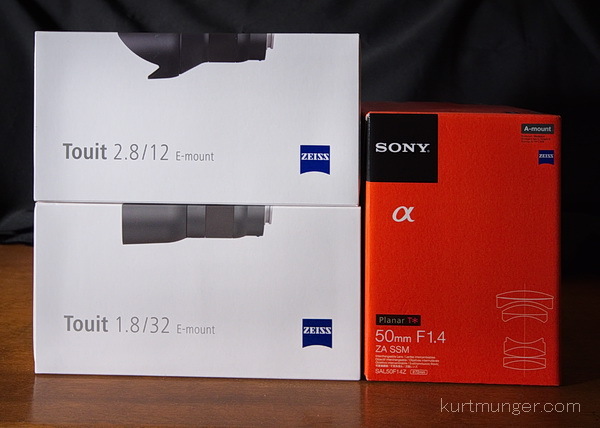 Sony decides to update the RX1 just as I'm about to review it. Oh well, scrap one RX1 review, so on to new things, like the new Sony RX100 V2. This looks like a possible Canon G1X killer, at least at low ISOs. The must've heard me everyone complaining about the lack of hotshoe and tilting screen. I may jump on this one as it's more pocketable than the Canon. 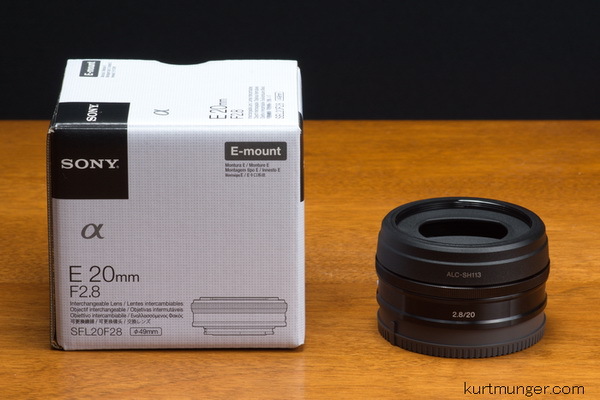 Also now available is the factory made Sony filter adapter, making the G1X less appealing. I'm deep in to the Sigma 35/1.4 review and should have it posted in a week or so. Sigma 60mm F/2.8 DN lens review. The Sigma 60/2.8 for NEX review is ready, go here for all the details and crops. If you're looking for a very sharp, but inexpensive lens for landscapes, portraits, or panorama stitching, this is it!! The performance of the Sigma 60/2.8 is very similar to the Sigma 19/2.8 that I like so well. 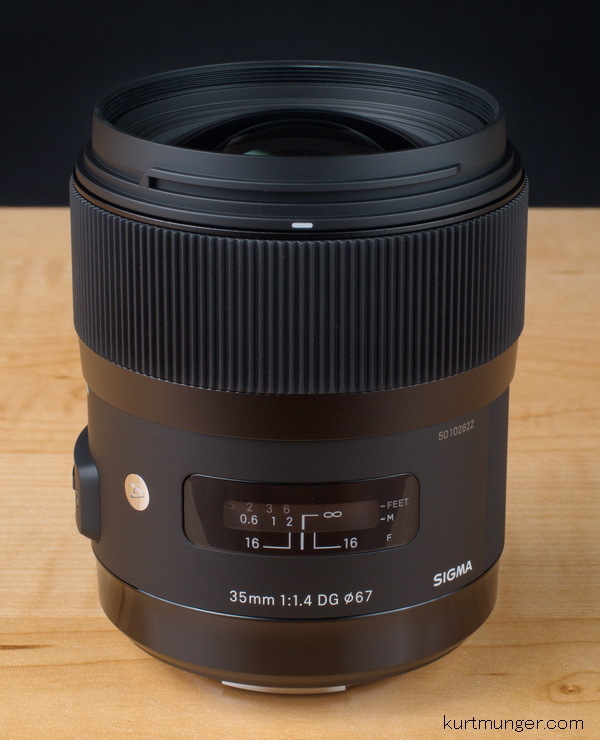 Lately, Sigma is reading the market quite well, and doing a nice job delivering mirrorless lenses with excellent image quality in a small and inexpensive package, hopefully that will continue as Sony unfortunately seems to be going the other way; who will win---or lose? Check out the goodies that showed up at the office on Friday. First up for review will be the Sigma 60/2.8 for NEX; then the highly rated full frame Sigma 35/1.4, BTW, that'll be the first FF review since the Sigma 85/1.4 from Dec. 2011! The Sony RX1 will stay in the box until I get time to do some comps and a full review. My intention is to see how good the camera and lens combo is, especially when compared to the A900 and Sigma 35/1.4 lens. Right now it's not clear whether or not I'll have the time for a proper review; if not, the RX1 will get sent back unopened and I'll move on to other reviews like the new Zeiss Touit lenses, 12/2.8 and 32/1.8. The HVL-F60M is Sony's top-line flash unit, replacing the HVL-F58AM in 2012, and should be familiar to recent purchasers of the A99 as this flash was included. 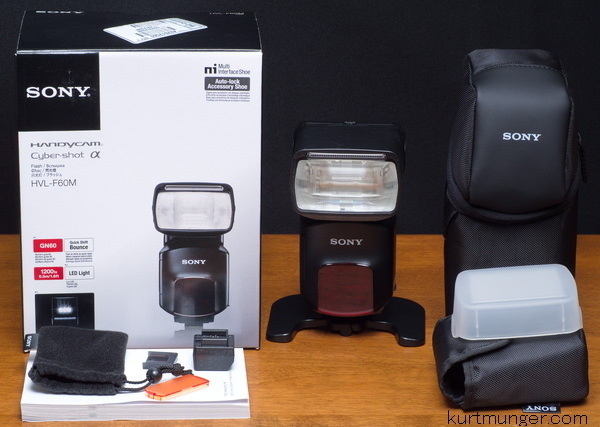 Sony's newest flash is first rate, including build quality, output and power settings. However, it would have been nice to see a stereo or PC connection for remote operation using Pocket Wizards or RadioPoppers etc, (as opposed to the optical wireless system); I'm sure this is coming though, direct from Sony using a Sony receiver and triggers. Works with Radiopoppers™ in manual mode (tested, but probably works with Pocket Wizards too), although you still need a hotshoe adapter with an appropriate plug. Check out the review here. Full frame users might want to check out the sale on the Bower 35/1.4, it's the same lens as I tested here, only called Rokinon. Other items for your consideration: Sony A58 with kit lens, $548, and the Rokinon 8mm fisheye for $229, I tested the Vivitar branded version, now discontinued. If you're looking for a great fisheye for your NEX camera, check this review out. Get the black, white or silver NEX-F3 bundled with 18-55mm and 55-210mm lenses for $499, that's what I paid for my NEX-C3 and one pancake a year or so ago. The NEX-F3 with 18-55mm lens in white, black or silver, $379. Don't forget the new Sigma 35mm F/1.4 for Sony is in stock now for $899. I'll be reviewing this lens soon. I've fallen behind trying to update my product links that go to 'discontinued items' on my recommended stuff, and that's fixed now hopefully, let me know if there's a link to an outdated product. I forgot to mention a few months ago B&H Photo started carrying RadioPoppers triggers. I've been using them for several years and have never had a problem, I currently have 9 receivers and 2 transmitters for controlling off-camera flash. Funny, but when they came out with the JRX basic models I called the corporate office to see if they worked in dumb mode with Sony cameras and they said no. I ordered them anyways because it seems so odd that they wouldn't work. As it turned out, they worked great, and I've been using them ever since. I guess they thought Sony's flash system didn't pulse at each shutter activation like most camera manufacturers. Hint to RadioPoppers, test your products with all camera manufacturers, I'm sure it'll help with sales! At the time, Pocket Wizards were really expensive and troublesome, so I thought I'd go with RadioPoppers. Now the price is about the same between the two for their basic versions. Look for the new inexpensive 'nano' versions of RadioPoppes soon. Go here at the top of the page for more links. Sony NEX 20mm F/2.8 review. The Sony NEX 20mm F/2.8 is the second pancake type lens for the NEX system, the first being the 16mm F/2.8, which was also the base for the wide angle and fisheye converters. The 16mm F/2.8 pancake was a neat idea, however, the optical qualities left something to be desired. With the release of the similar, but slightly longer (in coverage) 20mm early in 2013, optical concerns have been addressed, but there is some competition now in that focal length, see the conclusion for the details. Check out the full review here. Trey Ratcliff has a huge travel photo site, and a huge social media following as well. In a recent post, "The China experiment; dumping Nikon for Sony" he's decided to put the Nikon D800 on the shelf, and use the Sony NEX-7 as the workhorse for a trip to China. Trey lists several reasons for the change, including what appears to be substandard Nikon service and repair, plus the size and weight of full frame bodies and lenses. I did a post here using the NEX-7 and lightweight telephoto lenses at a golf outing, which led to another post here, that was picked up by sonyalpharumors, and generated a bunch of hateful comments that actually validated my post IMHO. Full frame is unnecessary for good pictures. People that enjoy spending hours each day looking at thier high ISO images at 100% on a computer screen might get some enjoyment with a newer FF camera. Folks wanting to just have fun taking pictures should look carefully at a small camera system like NEX or micro four thirds. DXOmark tests 70-400mm, comes to same conclusion I did 4 years ago. DXOmark tested the new version of the Sony 70-400mm G lens, and called it among other things 'one of the sharpest superzooms' which was basically my conclusion when I reviewed it in May of 2009. They go on to say performance could be a bit better wide open, but I also noted that in my initial review, and how it shows nice improvements one stop down. There seems to be a discrepancy as to whether or not the optical design is the same as the old version. DXOmark's review introduction may lead one to believe that it is a different design, but if you read Sony's press release, it clearly states (in red box below) the optical design has been carried over, meaning it's the same. However, there has been an upgrade to the coatings, with Sony's proprietary Nano AR coatings being added to the new version, plus some AF upgrades. I did a pan with this lens and the A900 and posted it here---(still stuck at 1901 since 12/2012, but maybe a new site coming). You can make out snow covered pine tree branches from 7 miles (11km) away! I really like this lens. Don't be afraid to get the first version if you aren't in need of faster focusing. I doubt the new Nano AR coatings offer any real improvements in reducing flare or ghosting. If you have the money, I'd get the new Minolta white version as the SonySilver™ version doesn't match anything else from Sony. Deals; check out the promotions on the NEX-F3, from $399 with kit lens! Due to cloudy days here at kurtmunger.com, the Sony NEX 20/2.8 review is going to be a few days late from what I originally thought; posted by this weekend. Click for full review of Sony 70-400mm! New Zeiss and Sigma for Sony NEX lenses Soon available. Sigma announces a 60mm F/2.8 prime for Sony NEX and MFT users. Equivalents in 135 film format are: Sony 90mm, and MFT 120mm. I'm thinking portrait and low light sports use, or maybe landscape pans. The price is great---$239, let's hope the optical quality is too. Of course I'll be reviewing this lens as soon as I can get one. Zeiss has two lenses for Sony NEX and Fuji X users, a 12mm (18mm equiv) and 32mm (48mm equiv) and offer full AF. Sony licensees their AF protocol to Zeiss, so it should focus just as a factory made Sony NEX lens, I'm not sure about Fuji. Both are made of plastic for reduced cost and portability according to Zeiss, and are about the same size or slightly larger than the Zeiss 24/1.8 reviewed here. I'll probably be reviewing both of these lenses this summer. Availability is expected around mid-June. Prices are $1250 for the 12mm, and $900 for the 32mm, plus $45 extra for the hoods supposed to be included. Get $250 off the NEX-7, now $948. Shakin' down the Sony NEX 20/2.8. I've been testing out the new 20/2.8 pancake from Sony over the last couple of weeks. Now I have to start writing up the review. I can say at this point it's much sharper than the 16/2.8 at all apertures, but it is a different focal length, so a direct comparison is not all that helpful. In a nutshell, it's what the 16mm should have been in the first place. The new slit type hood from the 20mm will fit the 16mm without much vignetting, and I suppose the fisheye and super wide angle adapters will work also, but the fisheye effect will probably just look like really bad distortion, and the super wide angle adapter will cover around 22-23mm equivalent in 135 film format instead of 18mm as the first pancake did. Has anyone tested those on the NEX 20/2.8? Look for the review in a week or so. Sony "shoot what you love" video series, and other news. Sony created a new video series called "shoot what you love" now available at creativelive.com, check it out. There are four programs, one on Monday; three on Wednesday, and I believe you can view them free during the live broadcast, with purchasing available if you miss them or don't have time to watch. I have nothing to do with these videos, I'm just pointing them out for people that may be interested. Folks waiting for the new Plustek Opticfilm 120 film scanner are SOL. Aparently, Plustek is have serious difficulty with the quality control on the fixed focusing system, so most dealers have pulled the plug on this baby, inlcuding B&H Photo. Plustek promised this scanner would be the greatest thing since sliced bread; and ready for purchase in the fall of 2012. I'm glad I bought a new Nikon 9000 when they were still available, that's the last good consumer film scanner made, and it was discontinued quite a few years ago. So for you serious film users, your only good option for a new scanner currently is the Hasselblad X1 or X5. 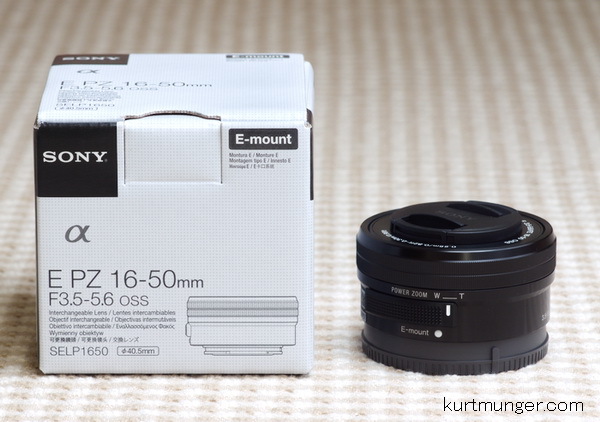 Sony NEX PZ 16-50mm review. 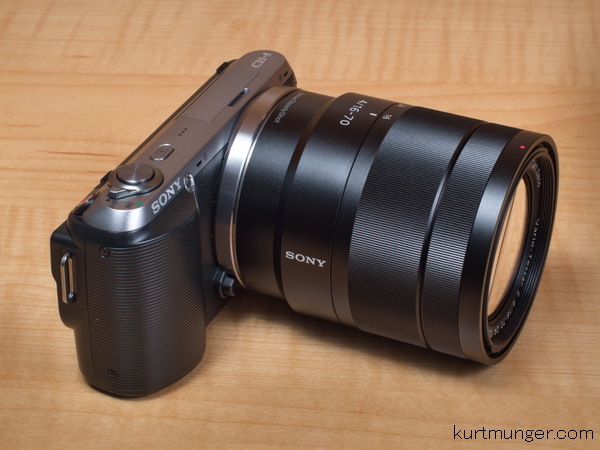 Check out the full review of the very small retractable zoom lens from Sony for the NEX system. This is a pretty cool lens for people that want to carry their camera in a purse or pocket; it performs reasonably well, and is much better and more useful than the 16mm F/2.8 pancake. Is it a good combo with the new NEX-3N? Is it worth buying for your older NEX camera, or high megapixel NEX-7? Or is it just another mediocre kit type lens? Go here to find out! Order your goodies now, or wait 'til April 3rd. If you're thinking of ordering something soon from B&H photo, do it by Sunday at noon, otherwise you'll have to wait until the 3rd of April as they'll be closed that period. Using any of my links to order anything from B&H helps me to keep the reviews coming, because they loan me the newer stuff you see here. Thanks!!! Great deal, two SDHC 16gb UHS-1 cards, for $18.95! Good until Saturday. Cool items, Sony Mirroring memorystick cards. I'm getting the 32gb to check out. Click on the pic below to save on Sony camera and lens combos. The Sony SELP1650 16-50mm powerzoom is now available without having to buy a NEX camera, however, if you buy a NEX-3N for $499, you can take the lens off and probably sell the camera for $200-$300, making the lens more affordable. Is it really worth $348? I'll let you know my thoughts when the review is ready in a couple of weeks. I've been using it quite a bit lately, and so far so good, but I'm thinking the powerzoom feature is of dubious value. The image below shows the 16-50mm PZ along side the 16mm pancake; I don't see much size difference when the 16-50mm is retracted, however the camera/lens combo still isn't small enough to stick in your pocket any more than the spectacular Canon G1X ($599 when added to cart!!). Speaking of powerzoom lenses in the mid $300 range, I'm also playing around with the Panasonic Vario X 45-175 PZ, an internal powerzoom that's very small, but has a nice range of 90-350mm in 135 film format. Look for the review in April. It looks like May will be the earliest I can get my hands on the new lenses from Sony, like the CZ 50/1.4, NEX 20/2.8, and the FF Sigma 35/1.4, so I expect field corn will be knee high (southern MI) before those reviews are posted. Size comparison, Sony NEX 16/2.8 pancake on left, Sony NEX 16-50mm PZ on right. Sony 16-50mm F/3.5-5.6 power zoom lens now in stock. I'll be reviewing this lens soon. NEX-3N. $498 with 16-50mm lens. White-silver or black. The lens sells for $348 alone, (one above), so that's $150 for the camera! Panasonic 100-300mm F/4-5.6 OIS review ready! The Panasonic Lumix G 100-300mm F/4-5.6 (check price) covers 200-600mm in 135 film format, that's super tight! Fortunately, the lens weights in at just over 1lb or 512g, and is only slightly larger than a mid range zoom for an APS-C camera! Also, you can think of it as a good 200mm F/4 lens, or maybe a 300mm F/4.5, or 400mm F/5! The lens performs very well from the short end through the middle of the zoom, but is held back a bit by low contrast past 250mm. With that said, at the long end, it will still probably resolve as much or more as a FF 70-400mm lens with a 24mp sensor. If you like to travel light, and take candid people shots, this is your lens! It also works well as a wildlife lens in good light. Read more here. Pre-orders begin on Sony's new products. 50mm F/1.4 CZ Planar. $1498, yes, that's correct. It had better be even more spectacular than this excellent lens. 18-55mm II kit lens. $218. NEX-3N. $498 with 16-50mm lens. White-silver or black. Sony has a few new products to show off, and new versions of older products. 70-400mm. Sony says the optical design has been carried over, however, version II includes 'nano AR' coatings, Minolta white color instead of Sony Silver™ and faster AF. Note; people using cameras without AF micro adjustments may as well get the first version, as lesser quality focusing systems can't handle the extreme presion needed at 400mm. Perfect focusing is a real chore at that focal length, and the AF systems I've used (A900-A77) aren't good enough for an acceptable hit rate. Faster AF would be great if it's accurate, if not, you'll get blurry pictures. I'd get the current version on sale if you don't need fast focusing, and you'll probably get a much better deal since the new versions are always more money. 50mm F/1.4 CZ Planar. Hope the price isn't too high as the rumors suggest (north of a grand!). The optical design is an 8/5 (2 asph) with SSM focusing; plus dust and moisture resistant. 18-55mm kit lens. Sony says version II has 'redesigned' rear elements for better flare and ghosting control---alrighty. Also look for 'improved mechanical elements' for more positive and comfortable handling. RM-VPR1 wired remote commander. Start and stop your video, and zoom. Can also be used for shutter lock in bulb mode. It looks like it comes with two connectors, one for the new multi-terminal, and one for the standard wired remote plug. A58. Comes with new 20.1MP sensor, low resolution screen and other minor tweaks. NEX-3N. Made for new 16-50mm PZ, has zoom switch at top. 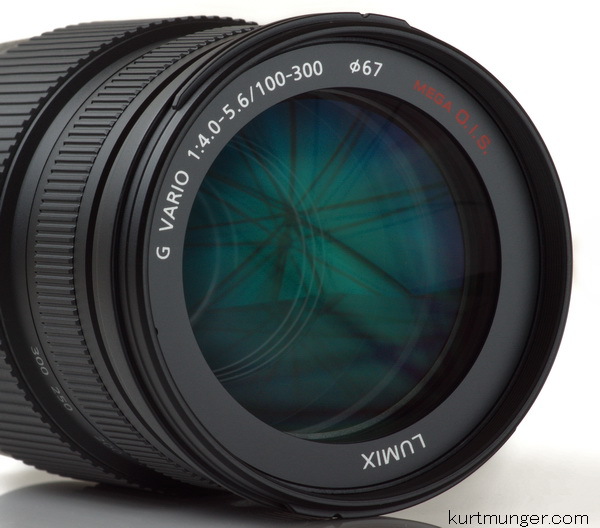 looks like it will be sold with the 16-50mm PZ lens only. New low resolution screen. No prices yet, but release dates are in April. Sony NEX 10-18mm F/4 OSS review ready! The Sony NEX 10-18mm F/4 OSS is an extremely wide zoom lens with the same coverage as a full frame 15-27mm lens, and is the first such lens for Sony APS-C lovers since the introduction of the less than stellar Konica Minolta (and later Sony---but made by Tamron) 11-18mm F/4.5-5.6. Fortunately, the new NEX 10-18mm lens is worlds better all the way around than the almost decade-old Tamron. So how does the new Sony 10-18mm perform? Go to review now! Sigma 50-500mm OS better than Sony 70-400mm? The web popular lensrentals.com founder/owner/ceo/etc is looking for a new camera system to meet his personal photography needs, and one of the criteria is a very sharp 400mm lens. This guy evaluates lens performance, repairs and of course rents thousands of lenses a year, and should know what's great, (and what's not) is saying that he would prefer the Sigma 50-500mm OS over the Sony 70-400mm if he were to go with the Sony system; go here for the article. The Sigma is a little less money, but It's about the same amount as a top notch used 70-400mm would go for. I'm not sure, but I think he tested the lenses at full zoom with the subject at 100 yards/m, then resized the images to match other systems (like aps-c), then cropped the centers for close inspection. So maybe the Sigma is slightly sharper at 500mm than the Sony is at 400mm. Here's the key though: the Sigma may not focus properly even with AF micro adjustments, where the Sony can be made to focus correctly if it isn't quite right from the factory. I had some troubles with my copy using my A900 and A77 before I adjusted the lens on each camera, although the NEX-7 with converter was dead on from the get go, weird! Sony does not recommend using AF micro adjustments with aftermarket lenses such as Sigma. On a brighter note, Lensrentals man really likes the CZ 135/1.8, calling it basically the best of the bunch from all makers in that range. I came to the same conclusion in this review, but it's not within my often used focal lengths yet! However, that focal length would be great for stitching pans (or for larger prints sizes) at longer distances. 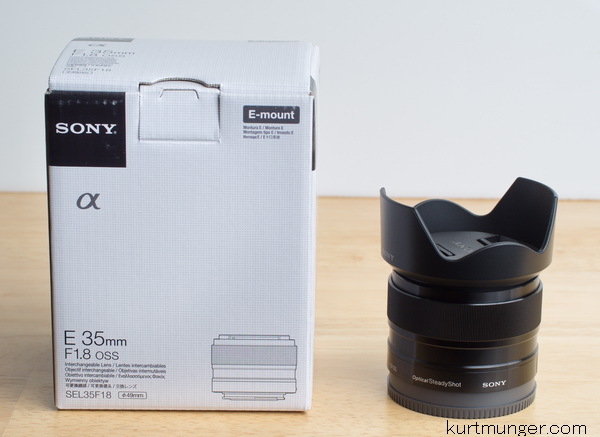 Sony NEX 35/1.8 update, with comp! A few people didn't like the look of my crops, and thought the Sony NEX 35/1.8 was crummy. Well, that's not the case, maybe my crops are crummy, but not the lens as a whole. I try to take test images from different subjects, just to keep things from being too repetitive, but sometimes they don't do the lens or camera justice. In this case, I think it was a fractal issue, oh well. I looked through some of my other images I've taken with a different lens with the same area of coverage, and found I have the same basic pictures from the Panasonic Leica 25/1.4! So now we can build a comparison between the two, but it's not perfect since they were not taken at the same time, so viewer beware! The comp is located at the very bottom of the review. As a quick summery for folks with time constraints; the Sony NEX 35/1/8 OSS can hold its own against the spectacular Panasonic when stopped down a little, and probably will show better sides, especially at smaller apertures. In the end, the Sony is a little soft at the widest aperture, but looks very good stopped down one stop or more. The Sigma 30/2.8 is a great buy if you don't need stabilization or an extra stop and a third of light. Some people say I got a bad copy, maybe because their expectations were too high, but why is it when I rave about a lens like this one, no one every claims I got a perfect copy, and that it's not indicative of the rest, and that I should re-test with a mediocre copy? The Sony NEX 35mm F/1.8 OSS (check price) lens is another welcome addition to the NEX family, producing sharp images with good contrast at most apertures, smooth bokeh, and almost no distortion. Build quality as well as fit and finish are quite good, and don't forget the useful OSS (optical stabilization) built in. There are a couple of qualities I'd like to see improved, go to the conclusion for more info. Instant savings on NEX-5R, 6 and 7, and A77. The Sony NEX-7 (body only) has an instant savings of $200, and the Sony A77 $300, (body only) ending Feb 9th. Also included in the saving: I may go for the NEX-5R $548 or NEX-6 $748 as an upgrade to my crummy NEX-C3, I just don't care for that camera, it doesn't fit my hand and the controls are not where I want them. Factoid: the best deal out of the bunch is the NEX-5R! If you're wanting to jump on the NEX bandwagon and don't have a whole lot of cash or credit, now would be the time. I'm guessing the more expensive new models with the same guts as the old models will be out soon. 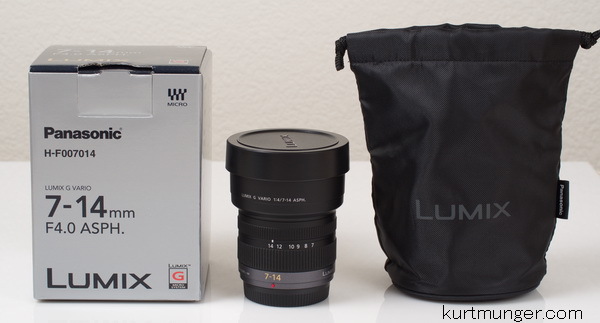 The Panasonic Lumix G Vario 7-14mm F/4 lens---is great! The full review of the Panasonic Lumix G Vario 7-14mm F/4 ASPH ultra wide zoom lens is now ready. If you're bored at work, or have 10 minutes to spare it's worth a look! Image quality is excellent, and it's the best ultra wide zoom I've ever tested, even better than this one, but of course it's not quite as fast. I actually used the 7-14mm on a paying job when I was all by myself and switched cameras after the set-up; there is no noticeable sharpness difference between it and the Canon 24mm T/S (centered)---no joke folks. I'd do a comp but I currently have little spare time. 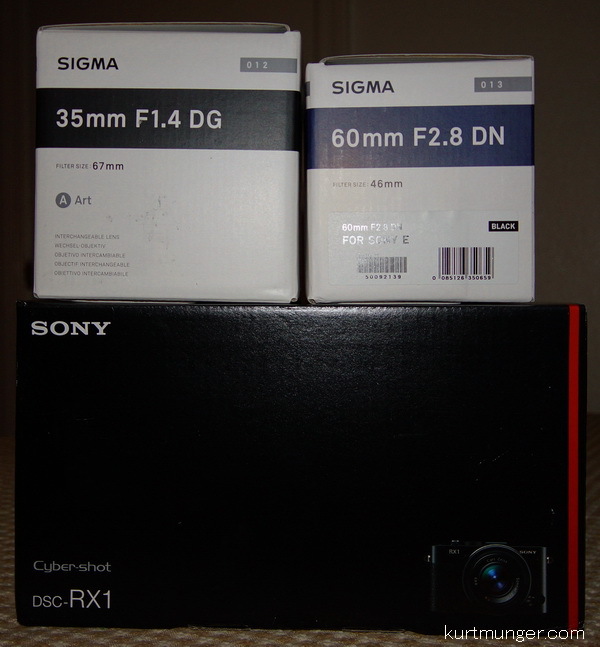 New Sony lenses, and in-stock items. Sony introduces another pancake lens, this time it's a 20mm F/2.8, painted black. This new design uses six elements (6/6) instead of five (5/5) on the 16mm pancake, so the image quality should be better. All the other specs like size and weight are about the same; the big difference is the focal length, with the new lens covering 30mm in 135 film format, the old 16mm covers 24mm equiv. Another new/old Sony lens is the 18-200mm power zoom for video cameras, although it will work on NEX e-mount still cameras. Sony says the 20mm F/2.8 will be available in February, and the 18-200mm PZ in April, although B&H Photo is listing the dates backwards. The Olympus 17mm F/1.8 lens is back in stock, hopefully I'll be checking this lens out soon. If it's as good as the 45/1.8, it'll be a great walk around lens. 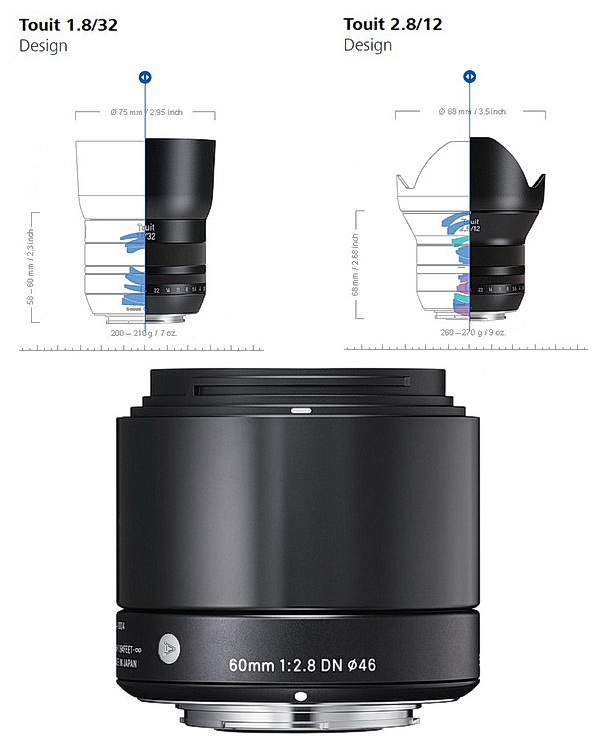 The two lens Sigma deal for Sony and MFT is still going on, but the stock is very limited. 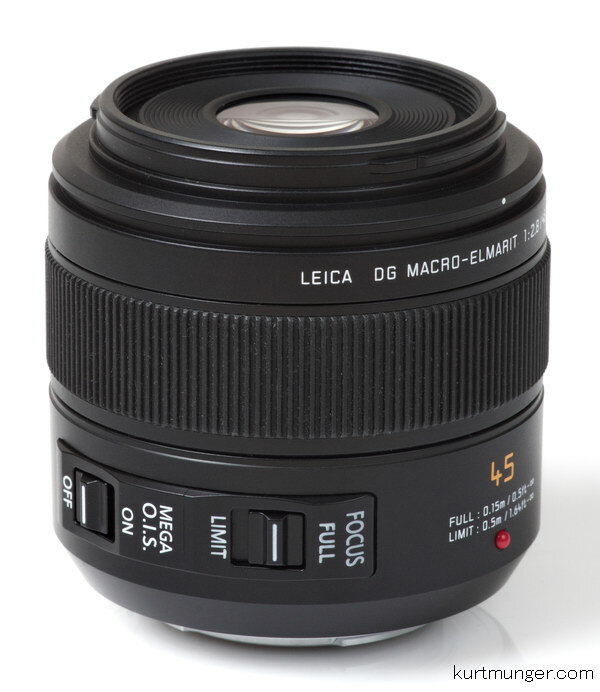 Full review of the Panasonic Leica 45mm F/2.8 Macro lens. The Panasonic Leica 45mm macro lens is pretty small, lightweight, built well, and has a good working distance of slightly less than 3" or 70mm, that's not bad for a short macro like this one. The center sharpness at F/4-5.6 is almost unbelievable, with the sides sharpening up nicely, but not quite as much as the centers; darn, so close to being perfect. Although the Panasonic Leica macro works well for landscape purposes, its best qualities in my opinion are at close focusing distances, that's what it's designed for. I'd probably choose the less expensive Olympus 45/1.8 if your primary use will be landscapes and low light hand-held work. Pick yourself up two lenses for the price of one; $199; Sony NEX or MFT camera, both lenses are good, but the 19mm is the best in my opinion, check out my review of that lens here, and the 30mm too. Right now the combos are on back order, so apparently the deal is still being honored. The Sony combo is here, and micro 4/3 here. Another thought; use both for awhile, and if you get tired of one or the other, ebay it and easily get your money back! Cool new toy, but not in my stable yet. I could probably see myself with one of these, not because I can justify it for business use, (couldn't use it anyways thanks to the new FAA ruling), it just looks like a blast! Since I have no RC skills, it might be the best thing for those cool fly-over shots like this one, or this one taken with poor lighting. It's supposed to fly with absolutely no user input after the launch, going to a preset point for approximately 2.5 minutes, then returning to land at the starting point. I'm assuming it has some sort or radar to avoid trees and houses, but maybe not, the literature is not clear on that. The marketing department is claiming you just hand launch it, wait five minutes, and then check out the video and pictures. This toy is not cheap, coming in just south of $1300 without the GoPro camera. Launch it. wait five minutes. enjoy your aerial images! The lens reviews 'to do' list is getting quite lengthy. It looks like I may finish the Panasonic Leica 45/2.8 macro very soon. Following that will most likely be the NEX Sony 10-18mm and Panasonic 7-14mm, (the coverage is almost the same) possibly with a comp at the end of the review. 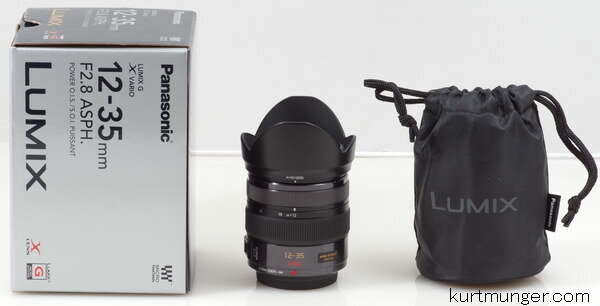 Due in a month or two will be the NEX 35/1.8, NEX 16-50mm and Panasonic 45-175mm. On another note; it looks like I might be soon finished with Sony full frame Alpha lens reviews. There isn't much interest anymore, most of the pageviews here are split between the DT and NEX stuff. I might be coaxed into reviewing the new Sigma 35/1.4 or another FF lens or two, but since time is precious right now, I'm going to concentrate on the more popular products as I just mentioned, plus the exciting micro 4/3 lenses. Sony full frame fans hang tight; I'll start reviewing Sony's new mirrorless FF system as soon as it hits the store shelves in 2014! Panasonic 12-35mm and Sony CZ 16-80mm comp. Check out the comps below, all are at the wide end, which is 12mm for the Panasonic, and 16mm for the CZ 16-80mm, the coverage area is the same with an equivalent of 24mm in 135 film format. 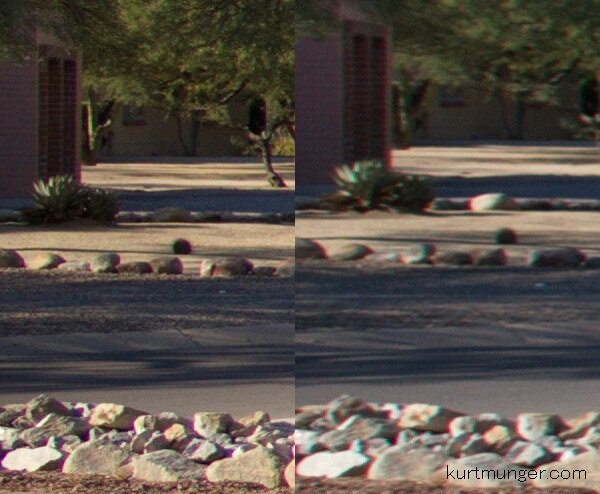 It's easy to see the Panasonic is sharper in the centers (top image), and along the sides (bottom image), but what's more surprising is that the Panasonic is at F/2.8, and the CZ at F/5.6! The Panasonic 12-35mm is extremely sharp in the centers at F/2.8, but gets even better along the sides at F/4, but I won't show those crops as people will get really mad if they own the CZ 16-80mm. But wait, this test is only at the wide end, once you get to about 20mm (30mm equiv) or so on the CZ, the differences aren't very noticeable, and beyond 24mm (36mm equiv), the CZ is almost as good in the centers stopped down, and noticeable better along the sides of the image, especially closer to the long end; that's what's really good about the CZ 16-80mm. The Sony 16-50mm SSM has the same performance as the CZ 16-80mm at 16mm, so this test applies to that lens too, go here at the very bottom of the review to see what I mean. The Canon G1X was involved as well, and was about the same as the Panasonic 12-35 at the wide end, but I didn't include that comp because the G1X starts at the equivalent of 28mm instead of 24mm, so it's not really fair. I will say the underrated G1X is very sharp across the frame at F/2.8 at the wide end, easily out-performing the CZ 16-80mm. Don't bother writing me and saying the CZ was out of focus, I took over 22 images to get the perfect shot. It's not that the CZ is bad, it's because the resolution and contrast of the Panasonic are so good! When I tested this lens at F/1.4 I couldn't believe how sharp the centers were. The tests were done using the Sony A580 16mp camera, and the Olympus E-M5 16mp camera. 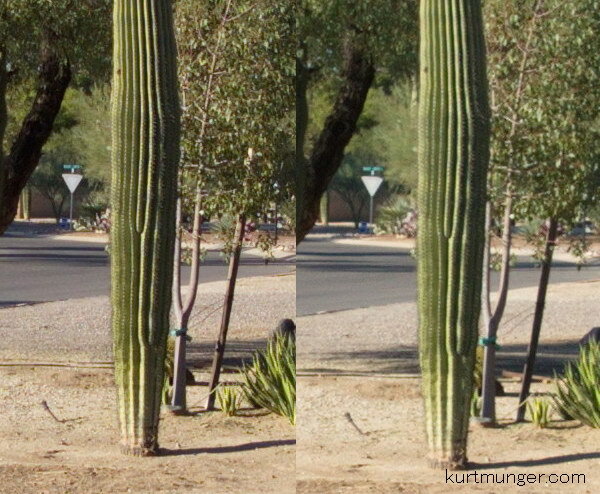 Crops were taken from the very center of the images, and the last 600 pixels on the (middle) sides. Both sides very about the same on each lens, so it wouldn't make a difference if I switched sides. I tried this test with the 24mp Sony A77 and CZ 16-80mm, and the Olympus/Panasonic combo still showed superior performance at the wide end. All images were taken in RAW and converted directly to jpegs with no adjustments. Sharpening the CZ crops will not make up the difference, I tried! If you enjoy using your APS-C Sony SLT cameras, the CZ16-80mm or 16-50mm SSM are both excellent once you zoom in just a bit. If you enjoy photography and want a small camera system with tack sharp images, I'd jump to the micro 4/3 with the Olympus E-M5; I did, and it's absolutely awesome with their newest lenses! More lens reviews to follow! CENTERS Panasonic 12-35mm on left, Sony CZ 16-80mm on right. SIDES Panasonic 12-35mm on left, Sony CZ 16-80mm on right. The price below reflects a free NEX 16/2.8 pancake lens when purchased together. I'd recommend this if you want a brand new NEX-5R, but here's what I'd do after I bought it; ebay the 16/2.8, which should come in a retail box (making it worth a little more than a take-out or used one), and put that towards a better lens. I see a used NEX-5R for $499 here, and a used NEX-7 for $829 here. Panasonic 12-35mm F/2.8 lens review. 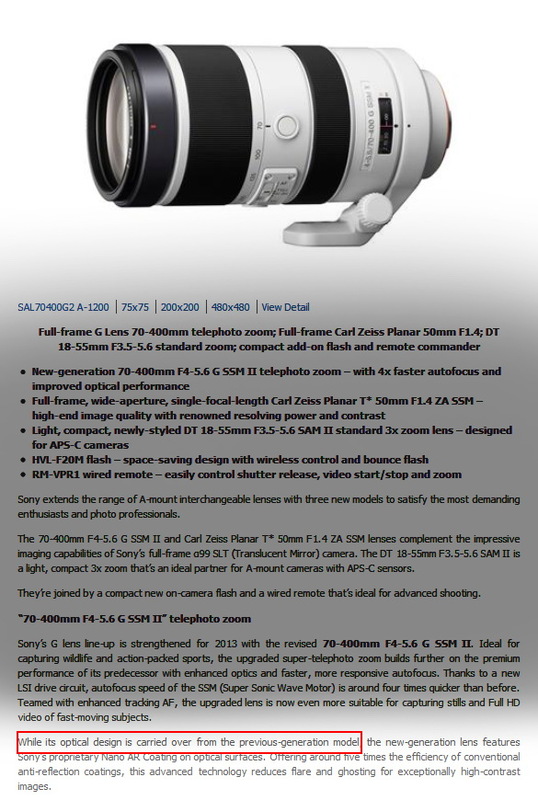 The first lens review of the new year is a high performing zoom---only from the mind of Panasonic!! This time we check out the X Vario 12-35mm that sports a relatively fast constant F/2.8 aperture, and a zoom range with the equivalent of 24-70mm in 135 film format. At the wide end, this lens is superb at F/2.8, (much like this prime lens) but gets slightly better along the sides at F/4!! No need to stop down additionally unless DOF is an issue. As you zoom out, the Panasonic keeps the centers and mid-sections very sharp, but the sides are a bit soft, and stay that way. The Sony CZ 16-80mm and 16-50mm (see comp at bottom) work just the opposite, which I'll show in another post. I bought this lens specifically for using it in low light, at (or near) the wide end, with the added versatility of a zoom. It's far better in this capacity than anything from Sony. In fact, this is what I had in mind when Sony came out with the NEX system. Unfortunately, Sony seems more interested in developing new cameras instead of useful new lenses for those cameras. Hopefully Sigma and other aftermarket suppliers of lenses may come to the rescue. The Panasonic 12-35mm would make a great hand-held walk around zoom; the image quality is as good as a prime lens near the wide end. Click the pic for the review!